Happy Monday babes! Why does it always seem like the weekends go by way too quickly? I swear, two days during the week feel like seven but two days during the weekend feel like 3 hours. Who do we talk to about fixing this? My schedule this week isn't too busy (fingers and toes crossed that it stays that way) so hopefully it should be a good week! I had some ups and downs last week so a nice uneventful week would be great! Linking up with my blogger love, Biana, for our weekend recap! Friday night I grabbed a few beers with a co-worker. After a long, semi-stressful week it was just nice to unwind and chat with her about some things that had been bugging me. Being the "new" girl still it's hard gauging when someone is taking advantage of me and when something is actually my responsibility. I'm learning and I still LOVE my job but I think this past month in general was just stressful for me so I'm ready for my life to get back on schedule. Saturday morning I was up bright and early (ok, who am I kidding. I'm always up bright and early) to get ready to head to Epcot with the boys and Kerri for Food and Wine Fesitval. I haven't been to Disney in at least 5 years and I haven't been to Epcot since I was 4 or 5 years old so this was definitely almost a brand new experience for me. Actually it pretty much was since I've never been to Food and Wine Festival! Luckily, Kerri is a seasoned pro so she lead me through everything and made sure I went to the best spots. I'll recap more about Food and Wine Festival tomorrow so I don't completely overload this post! The weather was gorgeous and it was so nice just getting to walk around outside all day and hang out with my favorite people! Sunday was spent recovering from Saturday. We did a TON of walking, which I'm not complaining about. Did you know Epcot is 300 acres which is more than twice the size of Magic Kingdom and only 35 acres smaller than Busch Gardens Tampa? The more you know... (where's my little star with the rainbow trail when you need it?) so we were pretty beat from all the walking. Luckily sitting around on a Sunday watching football is my ideal Sunday so I was a happy camper and the Bengals won so major bonus! ﻿I also made some amazing loaded baked potato soup since it was cooler out. I wish these temps would stay but I'm not holding my breath. Can't wait to hear about the Food & Wine Fest, I've always wanted to go! Looks like you and Kerri had a blast!! Loved keeping up with you on snap! 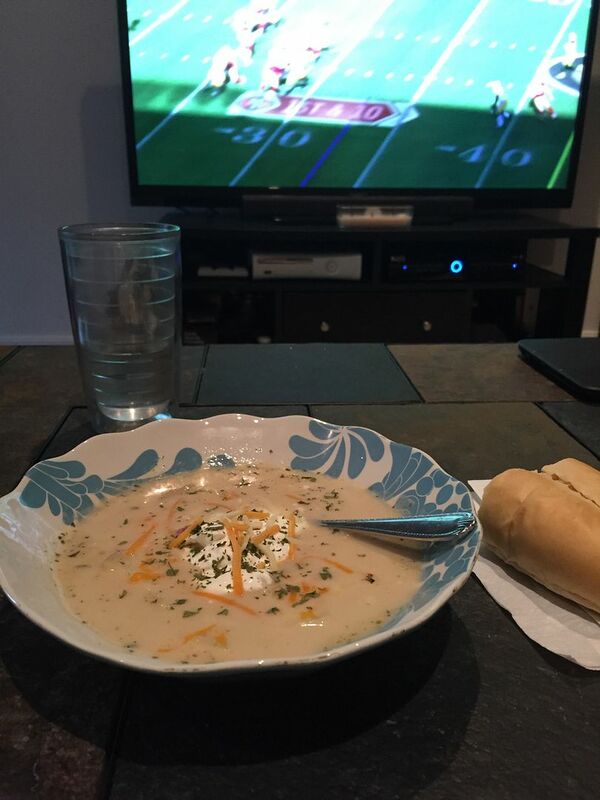 We did the exact same thing yesterday… football and soup, perfection! I had a few coworkers and friends that headed your way for the Food and Wine festival. Looked like you had a great time with Kerri and enjoyed the warm weather [send it back here please]! Football and soup, delicious and perfect! Have a great Monday! Why do the weekends feel like they go by so quickly?? Because they do!! Especially when you fill it with Disney fun :) Looked like a great weekend--and your potato soup looks soooooo yum! And yes the weekends go by wayyyyy too fast!! I've heard such good things about that festival- but man your feet must be hurting!!! The festival looks like so much fun! Loaded baked potato soups- yum!! Amen to coffee and mascara! And it looks like y'all had so much fun at the festival! Omg Epcot is so fun!! I haven't been in a few years but I have been wanting to go to the food and wine festival but I keep hearing how expensive it is... Omg that potato soup looks amazing! I really wish that the temperatures would stay like this! It's perfect out! Can't wait to hear more about the Food & Wine festival experience! Looks like such a blast! Totally know what you're feeling about work. 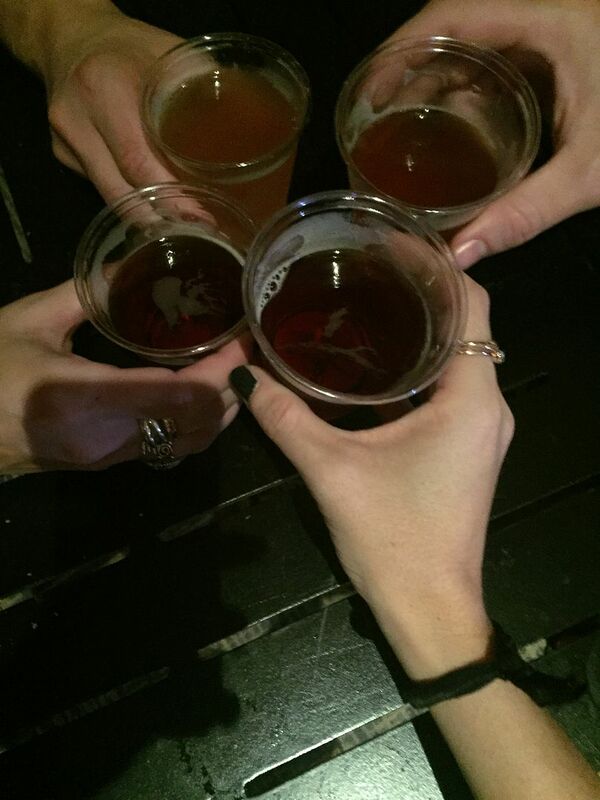 Sometimes it's so good to grab a drink with co-workers and decompress! i've always wanted to go to the f&w festival, so i can't wait for the recap!! Happy Monday! How un was your weekend?! Obsessing over potato soup! I just had some yesterday at a baby shower! Happy Monday ! I was so jealous of your Food & Wine Festival snaps!!! 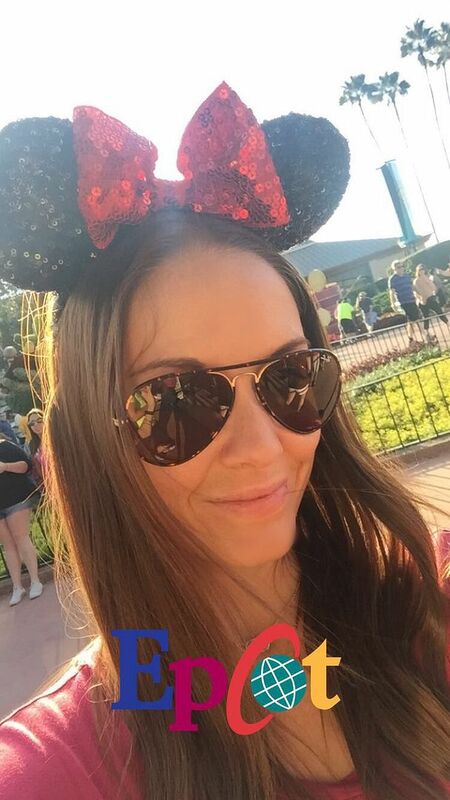 We were supposed to be at Disney THIS WEEKEND for my cousins 30th but we ended up not being able to go thanks to Nicks work schedule :( :( I kept looking for my cousin or you in the background of each others snapchats, haha! My legs actually hurt from walking last night, that and the fact Mark had quite the rigid schedule hahaha. We had to be in the park and at the holding area at Finnegans to get this house and this house done by a certain time. I love Epcot! Next year we may do the Disney year instead of the Universal. Those ears look adorable on you. Finally some cooler weather here in FL right? I absolutely love Epcot!! I could spend days just wandering around. Love all the different countries. I cannot wait to hear all about the Food & Wine Festival. So much fun. Your snaps were great! Love love love your Minnie ears. Totally agree, we need to fix the whole 2 day weekend, so not fair especially considering how quickly the time goes! Yay for Disney, I haven't been to Epcot in over 10 years so I'm itching to get back soon!! Lazy sundays, football, & soup...that's what Fall is all about girl! Can't wait to hear more about this food & wine festival! You really can't beat a Sunday spent on the couch watching football :) Happy Monday! 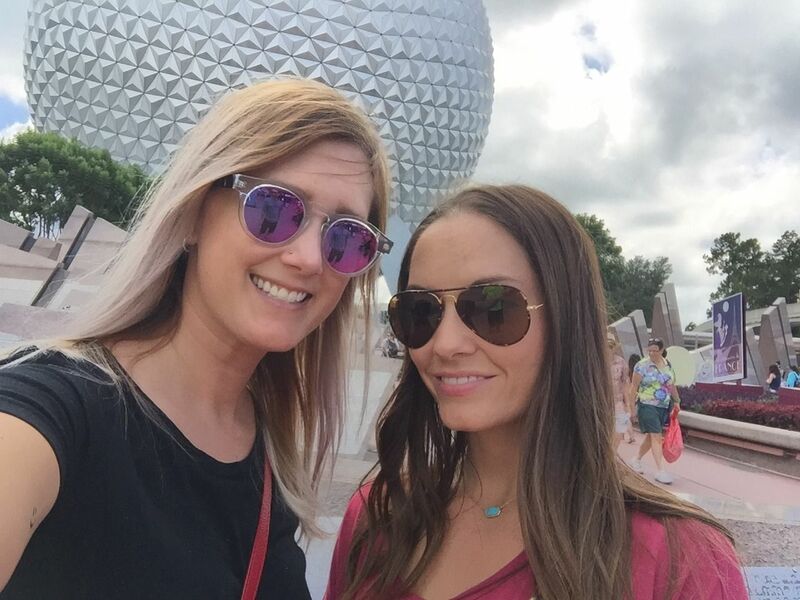 Your Epcot snaps looked like so much fun! Soup looks delicious! Who dey! The food and wine festival sounds amazing! The food and wine festival seems like such fun! Soup and football is the best way to end the weekend - I can't wait until we get our first batch of potato soup going - the best! I agree the weather was gorgeous this weekend and perfect for some Disney action. Sounds like you guys had a blast! 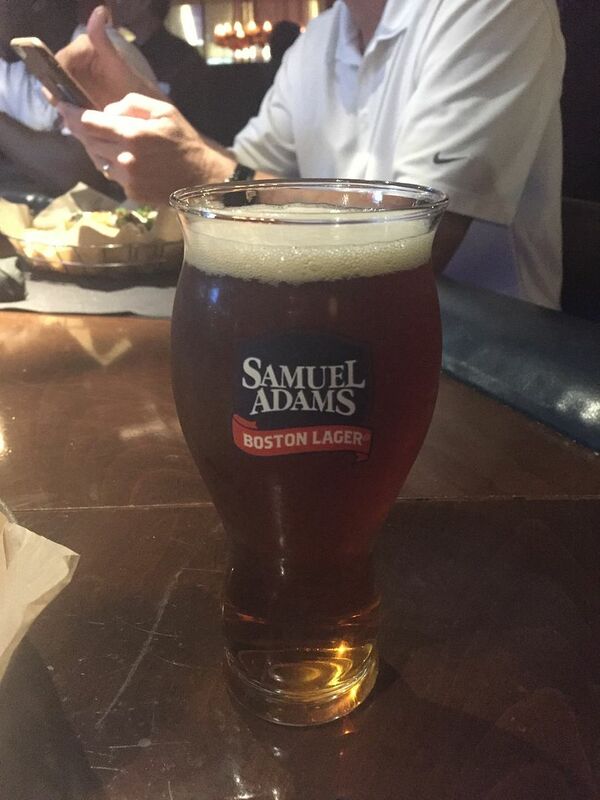 Great you got to relax on Sunday before the work week ahead. Congrats AGAIN to your Bengals!! Can't wait to read all about your trip to the Food & Wine Festival! That soup looks great!! I seriously can't wait to hear about the food and wine festival, I love everything Disney related! I agree. This past weekend went by way too fast! Looks like you had a great time at Epcot! Sounds like you had a great weekend! I hope your week is just as good! Looks like you had an awesome weekend. Love Disney! Enjoy the rest of your week! Food and Wine fest was IN disney?? Sounds incredible! I hear ya on the walking thing... I was at Austin City Limits this weekend, and every moring I woke up so tired from being on my feet all day! Thanks for the update! Love your blog!! How fun!! I am trying to talk Tyler into taking me to Disney for my birthday haha! I love me some soup weather! I feel you on grabbing drinks after long weeks. Glad you had a good weekend! A food & wine festival at Epcot?! That sounds amazing! !